As I watch the weather forecast with increasing trepidation, hoping for a break in the rain to see gardens in their autumn glory, I must face facts and accept that winter's coming! Many of the gardens I know and love are closing their doors; gardeners are sweeping up the autumn leaves; the clocks soon change; and there's no getting away from the fact that we'll soon be into fog and frost. But there are some gardens that remain open throughout the winter months and I spent several hours at one of them last week. During a brief burst of wintry sunshine, I visited the Sir Harold Hillier Gardens in Hampshire - one of my favourites throughout the year, but particularly fine in autumn, with its acer valley and heather garden, and you'll find colour here to gladden your heart in the next few months, especially on a frosty day. 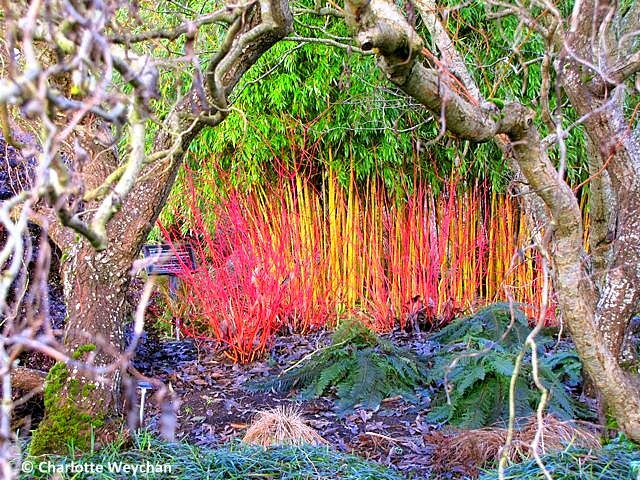 The Winter Garden is the largest in Europe and is filled with wonderful, colourful barks and stems that will brighten your spirits on the shortest day, particularly the dogwoods and witch hazels. 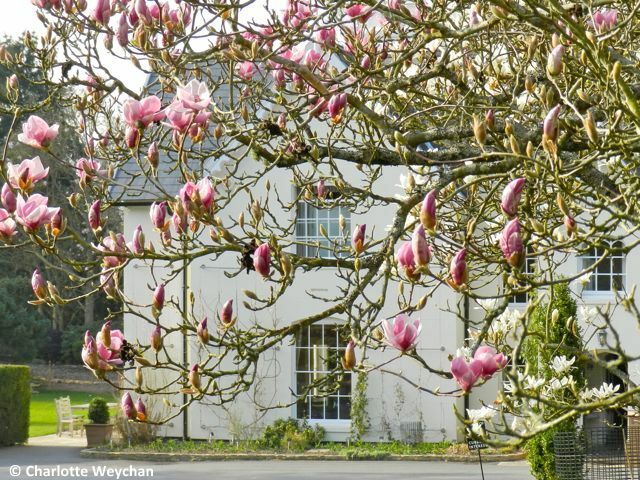 The 180-acre site was once home to Sir Harold Hillier, a passionate plant collector, who lived in the heart of the grounds in Jermyns House; worked for his family nursery business and spent most of his life collecting plants. 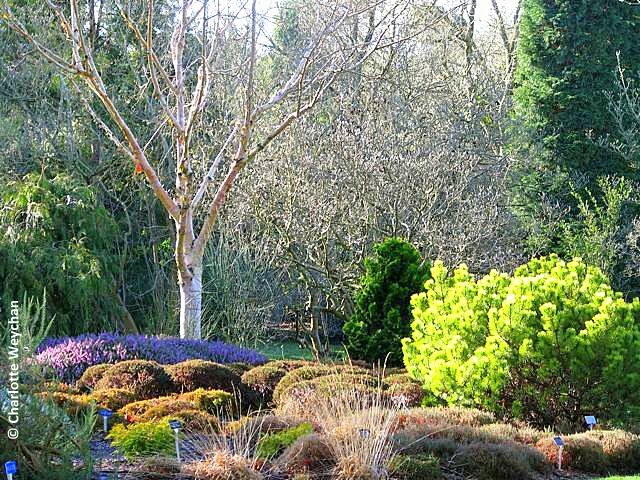 The gardens today are a reminder of his passion for plants and trees and, with a staggering 12,500 different species of woody plants, it has one of the finest collections of hardy shrubs and trees anywhere in the world. He also left a legacy on the Isle of Wight, at the Ventnor Botanic Garden - originally used by this innovative plant collector to nurture his exotic plant collections. There are many different areas within the grounds and there's year-round interest here - there's a bog garden; Gurkha garden, featuring a wide range of Nepalese plants; heather garden; Winter Garden; children's discovery area; many unusual trees; wonderful vistas over the surrounding countryside; and an annual sculpture exhibition, which runs until the end of October, so every corner you turn reveals another surprise. This year also saw the opening of the new Centenary Border, which has been completely redesigned and replanted during the last 12 months (above). 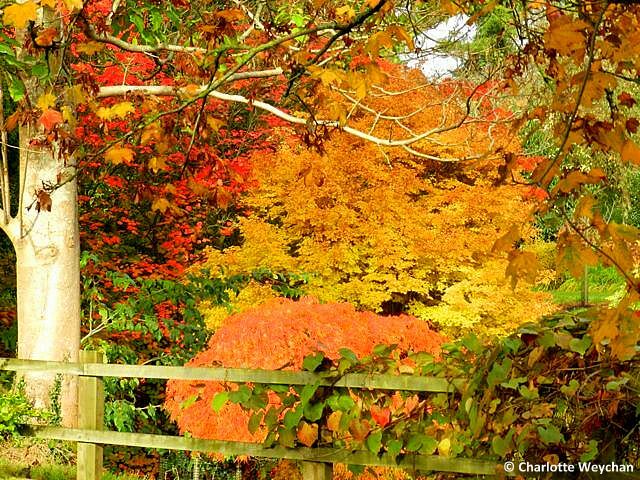 The arboretum has many wonderful specimen trees and provides colour throughout the seasons. Particularly noteworthy is the labelling at the gardens, and you will see many plants that catch your eye. All are marked, so if you want to grow them at home, you know what to look for. Plant collections here are arranged by habitat (e.g. Bog Garden, Winter Garden) and by genus (e.g. Oak Field or Acer Valley). 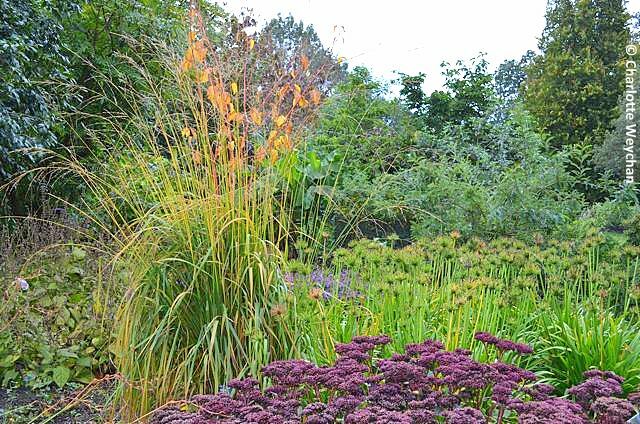 There's a nursery on site, but you can also visit any one of the Hillier nurseries around the country, or look online. 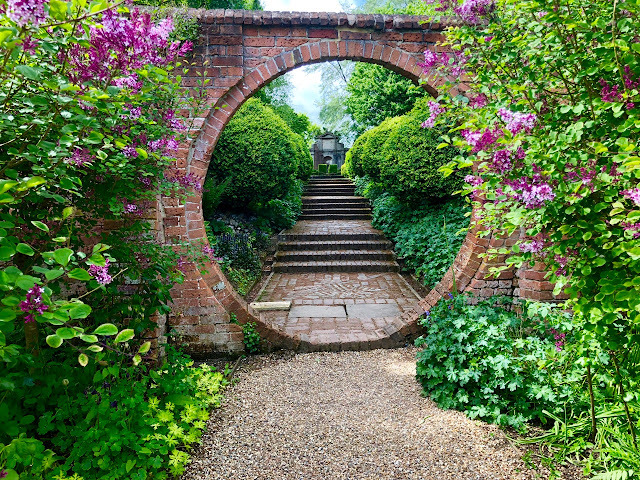 The gardens have been run by the County Council since Sir Harold donated both house and grounds to Hampshire in 1977 - but they they have continued to nurture and maintain his dream, so that everyone can enjoy his legacy, and the result is a truly remarkable garden. 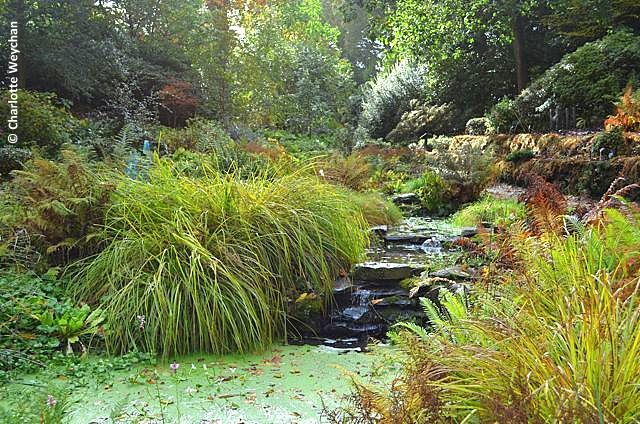 With 42,000 plants representing some 12,000 species and the largest number of NCCPG National Plant Collections to be found on any site in the UK - 13 in total - the gardens have developed a worldwide reputation. 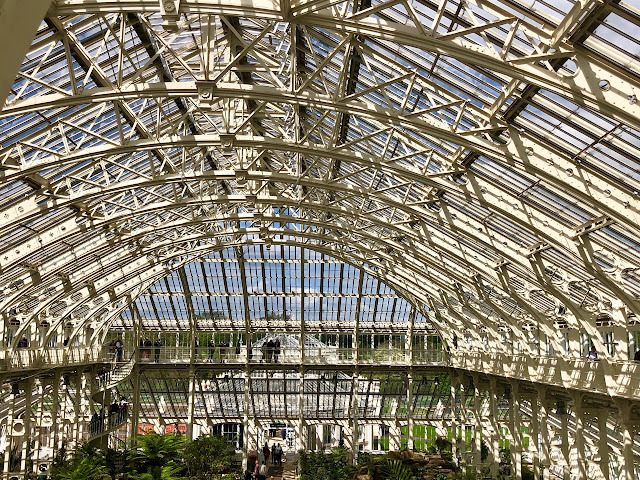 It's well worth considering an annual membership here, because for just £29.95 you can visit whenever you want, but just as tempting are their reciprocal arrangements with the Royal Botanic Gardens, Kew; Wakehurst Place; National Botanic Garden of Wales and the Birmingham Botanic Gardens. 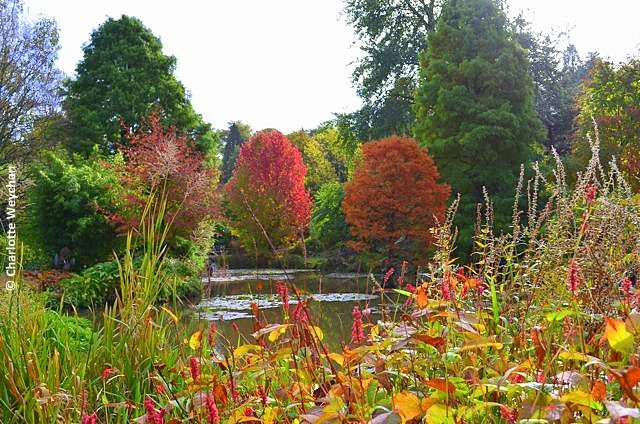 Members get free admission to all these gardens, as well as free visitor passes for the main gardens here in Hampshire. 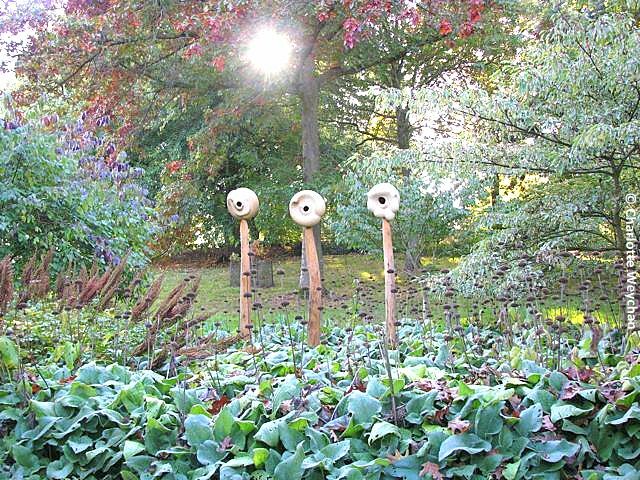 Certainly a great idea for a Christmas present if you have a keen garden visitor within the family! The gardens are open throughout the year (except Christmas and Boxing Day, from 10.00-18.00 (April-October) and 10.00-17.00 (November-March). Admission is £8.95 for adults; under 16s go free. Happy visiting! really spectacular colours! A beautiful garden in autumn.